Pierce > News > Gymnasium > Pierce students reach the top in Greek Rhetorical Competition! 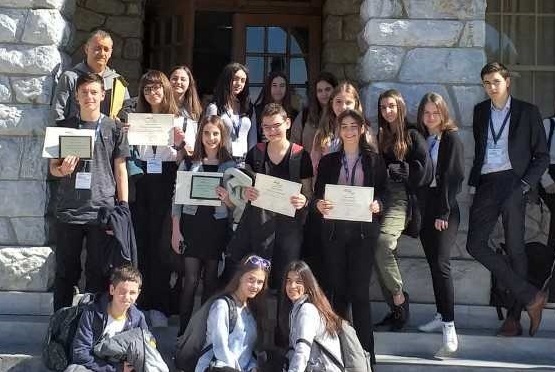 Members of the Pierce Greek Rhetoric and Debate Clubs achieved top positions at the 5th Public Speaking Tournament (Thessaloniki, March 15-17). 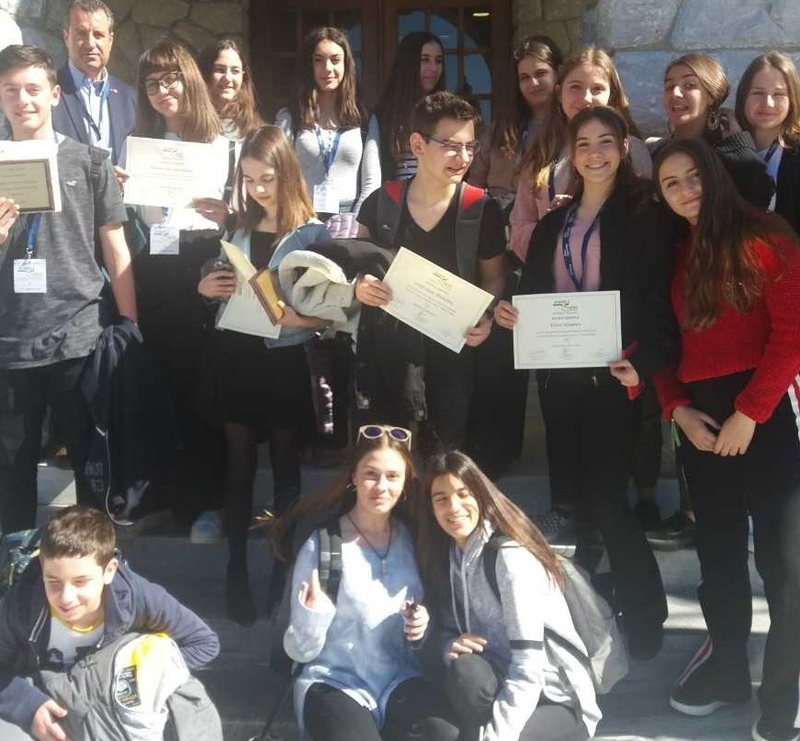 Gymnasium students Kelly Kadi (c10), Alexandros Kollias (b10) and Maro Tourni (b3) won 1st prize in the Debate event and students Alexandros Avramidis (c2), Elina Lilikaki (c2) and Natalia Nikolakopoulou (c8) won 3rd prize in the same event. In the Oratory event, Faidonas Vomvylas (c4) received Honorable Mention as one of the three speakers who competed in the final, and student Konstantina Emmanuilidi (c10) received Honorable Mention for her participation in the Impromptu Speaking event. Student Niki Samara (b1) also received Honorable Mention for her participation in the Oral Interpretation event. Warm congratulations to the successful participants! May you always have success!